These bottles are probably the cutest part of the entire collection, even if the level it references is probably one of the most traumatizing memories of my childhood. Key differences between this set and other shampoos/conditioners: the yuzu scent is intoxicating (almost makes me feel like I should be showering with Evian) and my hair is no longer a tangled mess when I step out of the shower. Bonus star: I can finally listen to the underwater theme song without clenching every muscle in my body now. If there were a warp pipe from Soho to a Shu Uemura beauty counter, I would have bought this oil before my double process in February. This super luxe oil only requires one pump to completely hydrate my ends and leaves my hair soft and shiny. I’m not an adventurous person when it comes to hair. It took me six-to-eight years to finally dye my hair blonde (TY Colleen @ Spoke and Weal) and up until that point, the only way I wore my hair was down or in a ponytail. I’m still looking to achieve the perfect bedhead look. Every time I try with this wax, I think of my favorite Mario Party game: Face Lift. Watch the video. You’ll understand why. It’s been over 10 years (!) since the Nintendo Wii was introduced to the world. And 10 years ago, I was using the Anti-Oxi + Skin Refining version of the cleanser for the first time. I don’t remember why I ever stopped using it, but forget about your other eye makeup removers and cleansers. This one oil will get rid of the most stubborn products and leave your white towels white. Even if this special Mario one isn’t for you, browse through the six other variants for what that best suits your needs. I was scarred by an incident during college when I pulled out half of my eyelashes from my left eye with this particular curler so I opted out of testing this one... Go ahead and read this review instead. Remember when you got your first fire flower power up and hit the “B” button nonstop to defeat all of the baddies? Don’t do that with this packaging since you won’t be able to get the bullet back in. These balms are glossy, have an amazing color payoff and stay put. They also deserve a bonus star for the wearer's ability to eat a burger and fries without having to reapply. Usually I don't wear lipstick because I'm too lazy to touchup throughout the day, and I always forget to bring my makeup with me during the day. Yet somehow, I managed to wear two shades (M RD187 and M PK375) almost every day for two weeks. How? Subconsciously, I think the fireworks on the packaging made me feel like I'd accomplished something before 9AM. I didn’t do the burger test with this one, but the color lasted throughout the work day—faded evenly—without leaving my lips dry and cracked. 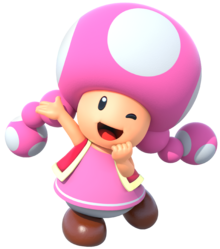 I was a bit skeptical when Emily Ferber showed me the blush in a shade that reminded me of Toadette. The majority of my wardrobe and makeup consists of black, black, and more black. Two weeks later, I caved, and was surprised by how sheer yet buildable the blush was. If you love a dewy look, this blush was made for you. 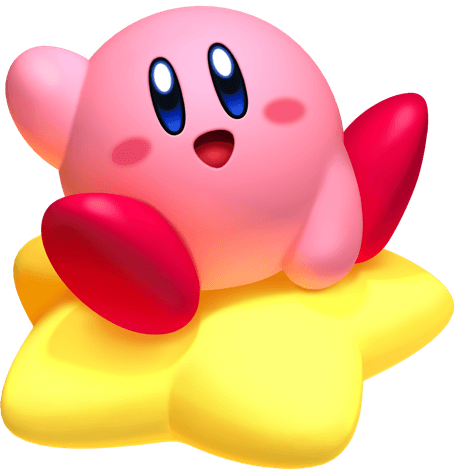 Just don’t go overboard and end up looking like Kirby. Since you're in the mood, read here for the ideal holiday manicure you can do at home.